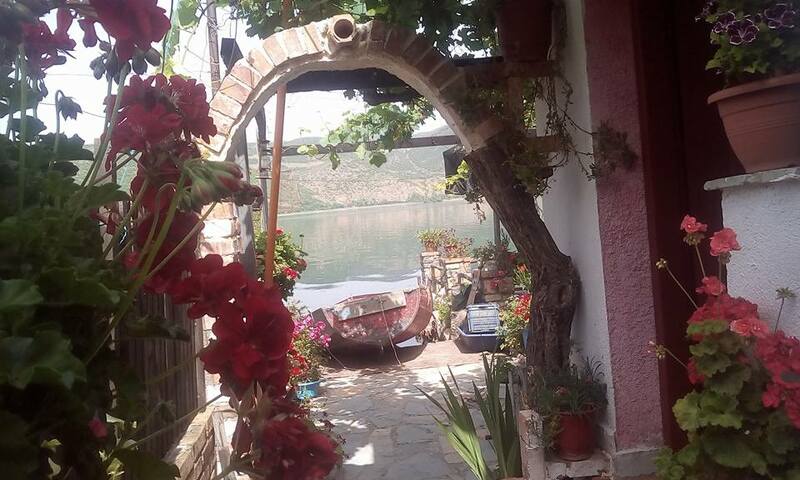 The lakeside village of LIN is a charming opportunity to see Lake Ohrid life from a traditional perspective. 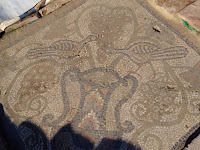 Winding streets lined with old style stone, wooden and brick houses lead to the site of an ancient basilica with 8 colorful mosaics showing fish, water birds and bees, dating from the 5th Century. 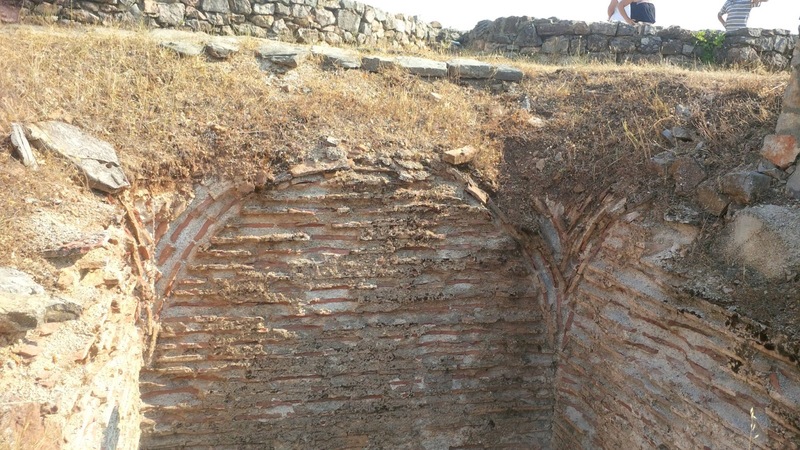 The Byzantine church ruins, under World Heritage protection, have a modern cover constructed to keep the treasures from further deterioration while awaiting further exploration. 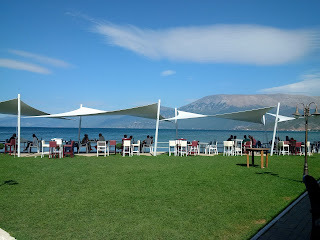 The Lake Ohrid and mountain vistas from the top of the hill are outstanding! 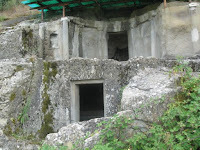 Five ancient tombs and monuments dating from the 4 th Century B.C. are found in Selca, site of the ancient settlement of Pelion (where Illyrian King Klit dwelled). Other remains date from the Bronze Age through the middle VI th Century A.D. including Ionic treasures, bronze and pottery objects, weapons and articles of gold. You will feel that you've discovered a lost treasure when you visit this important place! 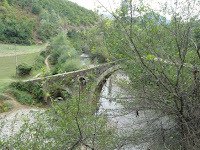 The Golic Bridge spans the wild Shkumbin River and dates back to the XVII Century. This old double-span stone structure is situated along the ancient Egnatia Road, near Golic, which is a charming village in the heart of the Mokra region. 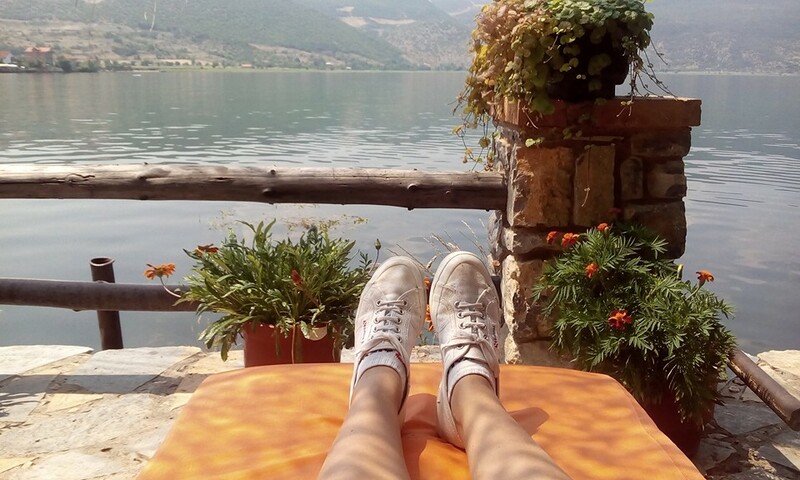 Along the road to Golic, you will enjoy breathtaking views of waterfalls and mountain scenery from deep valleys. In taking this trip, you will trace the steps of many ancient people, who over the centuries walked, defended, and traveled through the region! This is one of the longest rivers in Albania with very clear water that flows through stunning scenery. The river has its headwaters near Guri i Topit on the Mokra Mountain, district of Pogradec and flows to the Adriatic Sea. Different kinds of fish, with trout among them, live in its waters, which makes possible sport fishing while some parts of the river are suitable for boat or raft drifting. 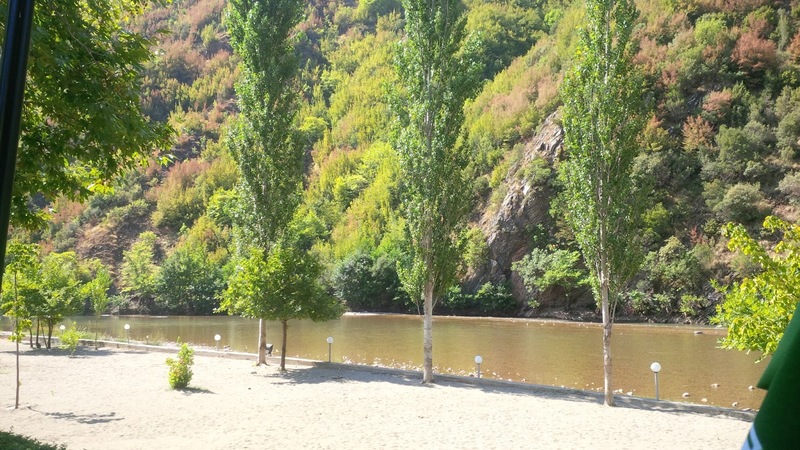 Just 4 kilometers away in Tushemisht you can see the DRILON tourist resort, named for the fresh water springs and Drilon River. 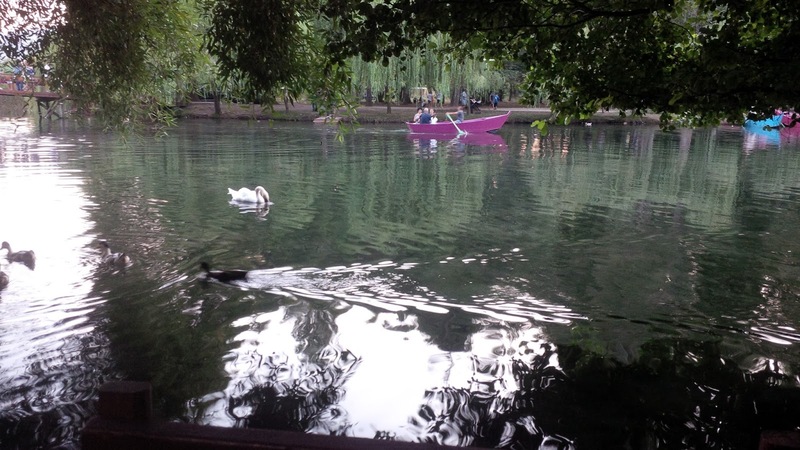 The many decorative trees and plants are in full harmony with Drilon's clear water springs, strolling paths, characteristic bridges and bird life. 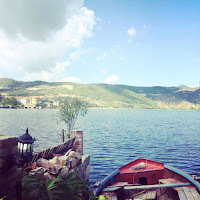 Tushemisht has a special history because both King Zog and the former dictator of Albania, Enver Hoxha enjoyed summers in this special place. 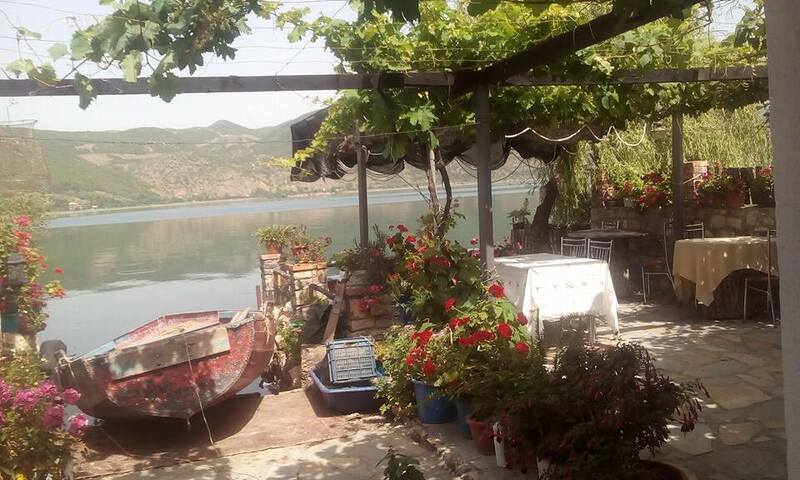 You can visit this house, now converted to a hotel and restaurant with fine local and continental cuisine! 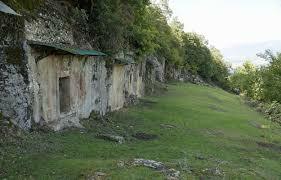 Only 2 kilometers from Pogradec, climbing the hill you will discover a wonderful place for picnics. With fresh fountains and prairies this is the right place for B.B.Q. 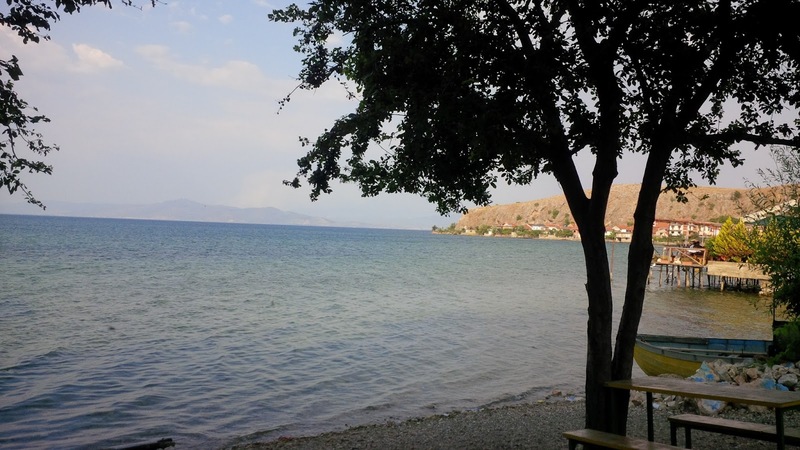 This is a very interesting village in the district of Pogradec. The houses are very beautiful, made of stone and roofed with stone tiles. The streets among them are narrow and paved with cobble stones, while grapes and mulberries climb the walls and hang over the streets. The hospitable people of the village offers accommodation for tourists in their houses and tasty home made food with various local specialties. Around the village it is church of St Paraskeva , known as Shen Premte among the local people, there is a graveyard with beautifully engraved stone crosses. The medieval church of Shen Bitri , as the locals use to call this St. Demetrios' church, is several hundred meters away from the village Potkozhan. This small stone building, roofed with stone tiles is very unique because of its two apses on the eastern side and very specific wall painting in its interior. Although the frescoes are damaged, you can still admire the beauty and mystery of the saints pictured on its walls. In the territory of Pogradec you will find some paths of former famous Via Egnatia, the road which linked Roma with Costantinopoli. There are some bridges and ruins starting from the Golik Bridge, the bridge of Terziu in Proptisht, the bridge in Llenga valley and Nica bridge. You can see the parts of this road, with huge stones in the areas. In this road has passed Caesar and Apostle Paul. The church and monastery of Saint Marena is situated in the north of the village of Llenga, district of Pogradec with a dominated position on the slope of the mountain. The church is a small building, 12 to 8 meters. The altar is separated from the nave with a wooden iconostas 6m wide and 4m high. The icons is engraved and polychrome with floral motives. All the interior of the church is covered with frescoes that belong to the hand of the headmaster of these areas Kostandin Shpataraku. Lini eshte nje gadishull i vogel ne brigjet perendimore te Liqenit te Ohrit me nje fshat te bukur me te njejtin emer. Shtepite jane te ndertuara prej guri dhe tulla ne anet e rrugicave te ngushta mbuluar me pjergulla. Ne jug te Linit, afer Buqezes ne liqen, ne thellesine 2-3 m ndodhen disa palafite. Ai eshte nje vendbanim i tipit liqenor ndertuar ne siperfaqe te liqenit si ajo e Maliqit ne rrethin e Korces. Ka gojedhena qe dikur gadishulli i Linit ka qene nje ishull i bukur me bimesi te lulezuar. Jeta ne gadishullin e Linit ka filluar ne periudhen e pare te epokes se hekurit dhe ka vazhduar deri ne kohen e mesjetes se hershme. Gjate kerkimeve arkeologjike eshte zbuluar nje bazilike e hershme kristiane me mozaike te jashtezakonshem ne dysheme qe nga shekulli i 4-5 -te te eres sone. Mozaiket kane disa figura te bukura si peshq, zogj, etj. Ne fund te Qafes se Thanes kur jeni duke shkuar per ne Tirane, do te ishte mire te ktheheshit ne te majte dhe perseri ne te majte ne Selcen e Poshtme per te vizituar pese varret monumentale. Kalaja, e cila ndodhet ne nje pozicion te dukshem te lugines se Shkumbinit, ka luajtur nje rol te dores se pare ne luftrat iliro-romake dhe iliro-maqedonase. Ne afersi te kesaj kalaje kalon rruga Egnatia. Ajo qe e ben te njohur kete vend jane pese varret monumentale gdhendur ne shkembin masiv te Gradishtes. Kerkimet arkeologjike kane treguar se kemi te bejme me nje qender te zhvilluar ekonomike-kulturore te nje rendesie te madhe te shekullit 4-3 -te para Krishtit . Kur kthehesh ne te majte te rruges Qafa e Thanes-Tirane dhe ndjek rrugen e fshatit ju mund te shijoni luginen piktoreske te lumit Shkumbin. Ne afersi te fshatit Golik do te gjeni nje ure te lashte qe nga periudha romake e njohur si Ura e Golikut. Kjo ure elegante me tre harqe eshte ndertuar me nje arkitekture te vecante. 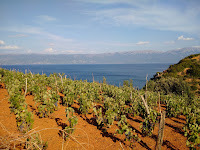 Lumi i Shkumbinit eshte nje nga lumenjte me te gjate ne Shqiperi me uje shume te paster qe rrjedh permes nje pamje mahnitese dhe derdhet ne detin Adriatik. Shkumbini ka burimet e tij prane Gurit te Nikes dhe Gurit te Topit ne malet e Mokres, rajoni i Pogradecit. Ne te gjenden disa lloje peshqish, ku ne rrjedhjen e siperme shquhet trofta e famshme e lumit prane burimeve me uje te kulluar. Kjo ben te mundur sportin e peshkimit, ndersa disa pjese te lumit jane te pershtatshme per vozitje me kanoe. 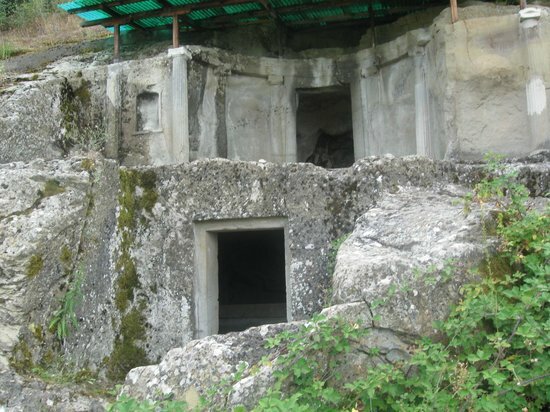 Burimet e Drilonit ndodhen afer fshatit Tushemisht dhe Gurras, 4 km nga Pogradeci, rreze kodrave dhe kane nje pamje te pakrahasueshme. Kete monument natyre mund ta vizitoni ne qofte se ndiqni rrugen Pogradec-Dogane-Shen Naum. Ai eshte nje burim i madh gelqeror qe buron me rrjedhje vertikale te ujit ne fund te bllokut gelqeror duke vazhduar me pas rrjedhjen ne Liqenin e Ohrit. Uji vjen nga Liqeni i Prespes permes Malit te Thate. Uji del jashte si nje burim i madh i veçante me nje rrjedhje prej 7 m3 /sek. Ai eshte i rrethuar me bimesi te dendur dhe ka nje bote te pasur kafshesh. Ky vend ka qene i preferuar per te kaluar pushimet nga Mbreti Zog dhe nga Enver Hoxha. 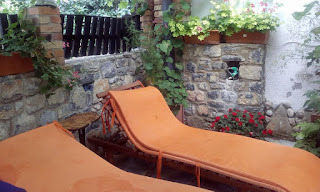 Ju mund te vizitoni shtepine e tij, qe tashme eshte shnderruar ne hotel dhe restorant. Vetem 2 km nga Pogradeci, nese ngjiteni pergjate rrjedhes se lumit do zbuloni nje vend te mrekullueshem. Me burime me uje te kristalte, lendina te gjelberuara dhe hije te fresketa do ishte vendi i duhur per piknik. Potkozhani eshte nje fshat shume interesant ne rajonin e Pogradecit. Shtepite jane shume te bukura, te bera prej guri dhe te mbuluara me plloca. Rruget midis tyre jane te ngushta dhe te shtruara me kalldrem, nderkohe qe pjergullat dhe pemet e manit mbulojne muret dhe varen mbi rrugicat. Banoret mikprites te fshatit ofrojne strehim per turistet ne shtepite e tyre dhe ushqim tradicional me specialitete te ndryshme vendase. Ne mes te fshatit eshte Kisha e Shen e Premtes me varrezat e vjetra qe kane kryqe guri te gdhendura me mjaft mjeshteri. Kisha mesjetare e Shen Dhimitrit, qe vendasit jane mesuar ta therrasin kisha e Shen Bitrit, ndodhet disa qindra metra larg fshatit Potkozhan. Kjo ndertese e vogel prej guri, mbuluar me plloca eshte me vlera unikale persa i perket dy kupolave te vogla ne anen lindore dhe murit shume te veçante pikturuar me afreske ne pjesen e brendshme te tij. Edhe pse afresket jane demtuar, vizitoret perseri mund te admirojne misterin dhe bukurine e shenjtoreve pikturuar ne muret e tij. 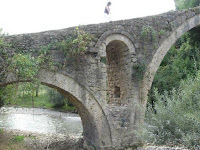 Ne territorin e rajonit te Pogradecit ndodhen disa degezime te Rruges Egnatia, rruga e famshme qe ne antikitet lidhte Romen me Kostandinopojen. Ka disa ura dhe fragmente te kesaj rruge te lashte qe fillojne nga ura e Golikut, ura e Terziut ne Proptisht, ura ne luginen e Llenges dhe ura e Nices. Rruga dallohet prej gureve te medhenj qe i gjejme ne gryken e Llenges, prane lugines se Lumit Shkumbin. Dikur ne kete rruge ka kaluar Cezari dhe Apostulli Paul ne udhetimin e tij neper Iliri. Kisha dhe manastiri i Shen Marenes ndodhen ne veri te fshatit Llenge, zone e Pogradecit, me nje pamje dominuese ne maje te malit mbi lumin Shkumbin. Kisha eshte nje ndertese e vogel afersisht 8-12 metra e gjate. Altari eshte i ndare nga pjesa qendrore e kishes me nje ikonostas druri 6 m te gjere dhe 4 m te larte. Ikonostasi eshte gdhendur me motive luleje. Gjithe pjesa e brendshme e kishes eshte e mbuluar me afreske qe i perkasin dores se mjeshtrit te ketyre zonave, Kostandin Shpataraku. Kur e viziton e ndjen qe ndodhesh ne nje vend te shenjte . 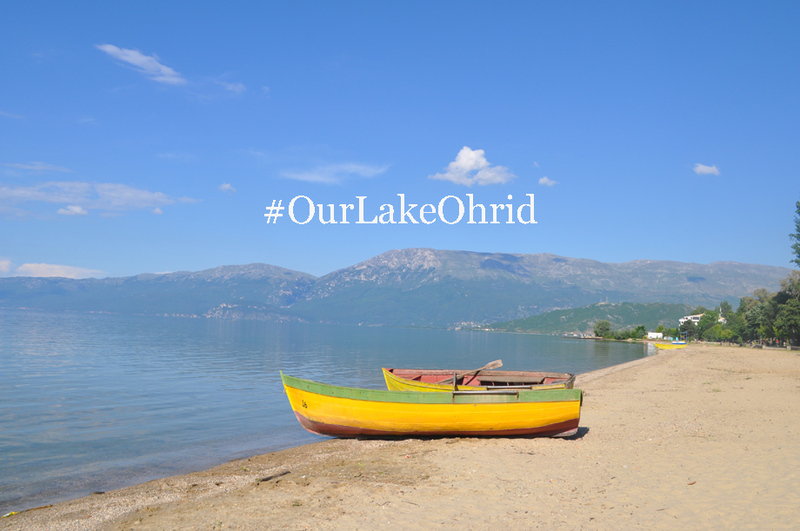 Successful management of the Lake Ohrid region depends heavily on collaboration between diverse stakeholders and a harmonious balance of nature, culture, landscape and development. 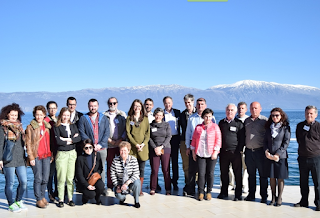 During the training on Collaborative Integrated Management of Protected and Heritage Landscapes held in April in Lin Peninsula, Albania, the stakeholders learned how to develop an integrated and cooperative approach to managing complex landscapes. 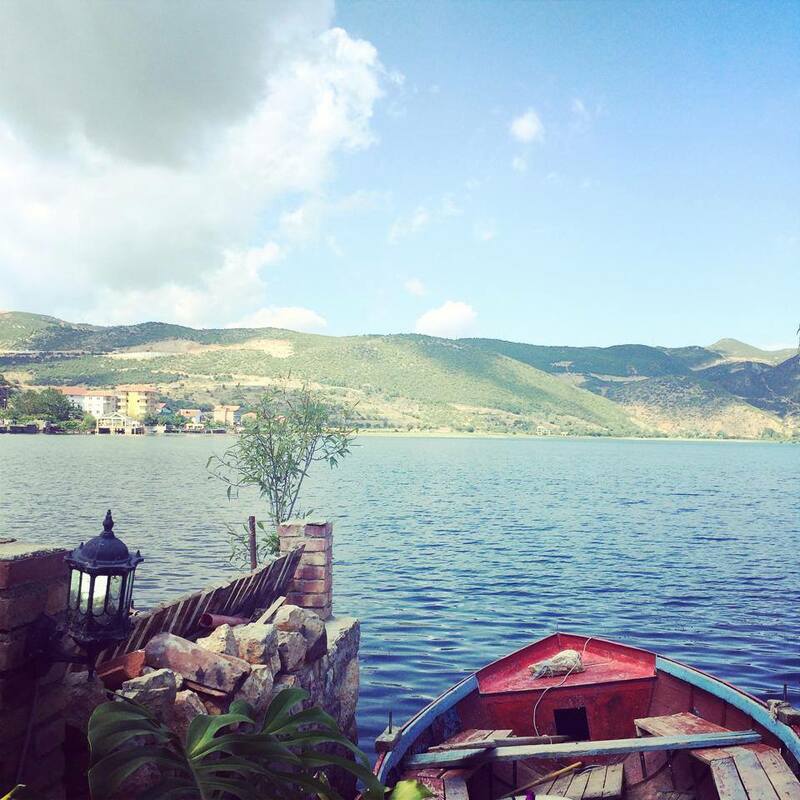 “The first success is that we now think of the lake as one whole, together with our Macedonian partners. We are now aware that we have to cooperate with our partners and protect the lake from damages that have been made until now”, said Mr. Mihallaq Qirjo, Director of the Regional Agency for Protected Areas (RAPA) for Korca region, speaking about the positive impacts the project has achieved thus far. 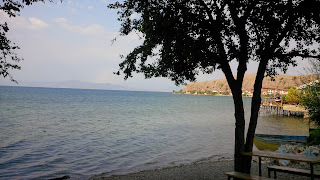 The training brought together more than 20 representatives from Albania and the former Yugoslav Republic of Macedonia, including the respective Ministries of Environment and Culture, protected area authorities, representatives from fisheries and tourism industries, as well as experts from ICCROM, ICOMOS and IUCN. 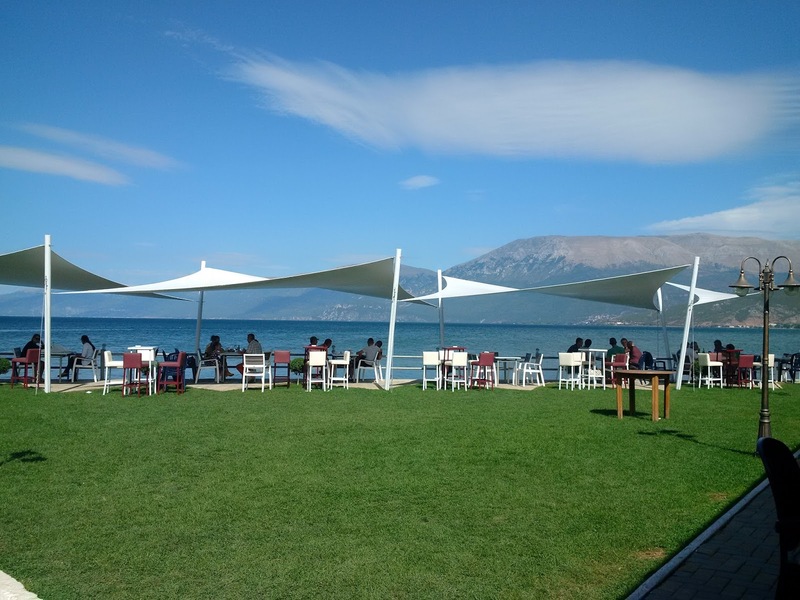 “This training assists the two countries to improve and upgrade transboundary cooperation by helping to better understand Lake Ohrid’s outstanding universal values, both natural and cultural. Cooperation between diverse stakeholders is the key to expanding the mechanisms for transboundary cooperation, strengthening the involvement of various stakeholders, and also harmonizing the actions on both sides through joint management activities,” said Mr. Oliver Avramoski, Project Officer at IUCN Regional Office for Eastern Europe and Central Asia. The course had a strong focus on interactive learning, with an emphasis on group work, practical exercises and field work. The training’s objectives included participants achieving a sound understanding of various mandates, rights and responsibilities that can affect complex landscapes; understanding different types of governance that can be applied to protected landscapes and the importance of collaboration and partnership; gaining experience of co-management approaches that combine nature, culture, local needs and development; and gaining new skills and understandings in consensus building, negotiation and conflict resolution. 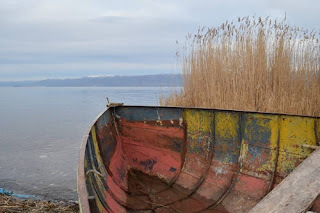 This knowledge contributes to the development of a co-management system for the Pogradec Protected Landscape and the potential transboundary World Heritage property in the Lake Ohrid region. 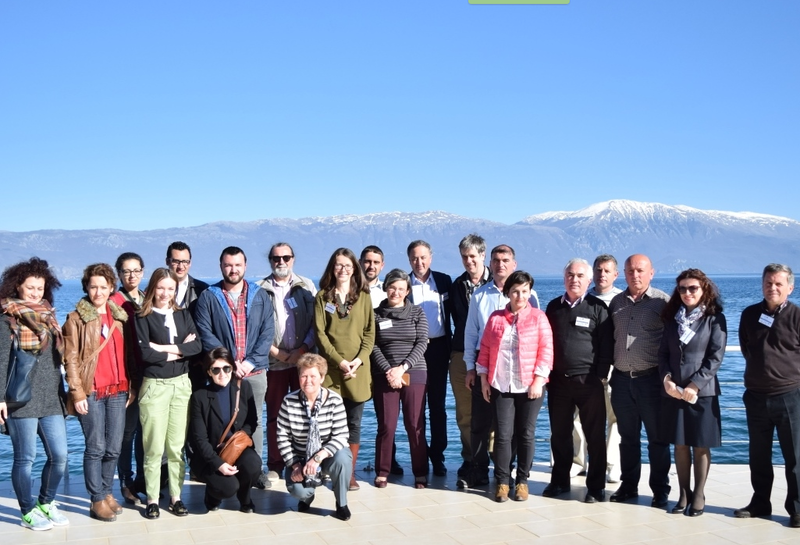 The training was organized as part of the joint EU UNESCO project “Towards strengthened governance of the shared transboundary natural and cultural heritage of the Lake Ohrid region”. 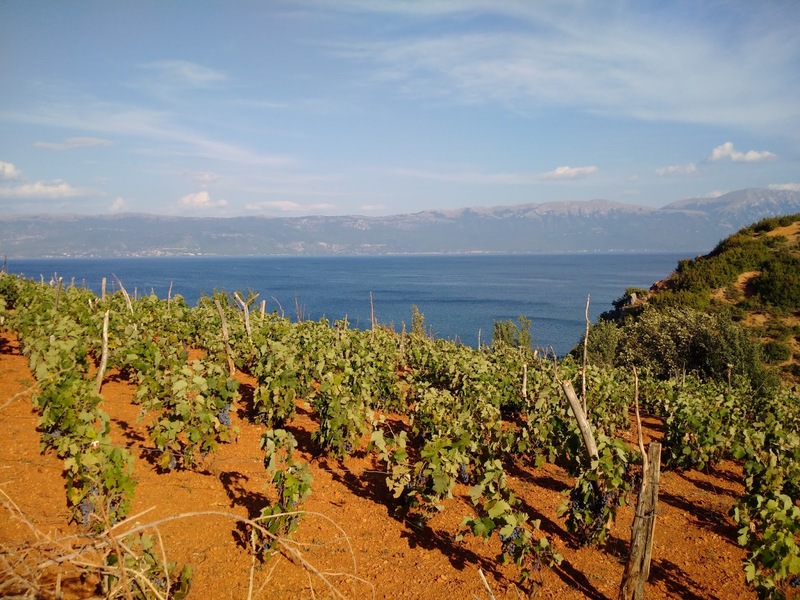 The project seeks to reinforce transboundary cooperation between Albania and the former Yugoslav Republic of Macedonia, establish integrated management mechanisms, increase the effectiveness of capacity building, and profile the transboundary area and its sustainable tourism opportunities. 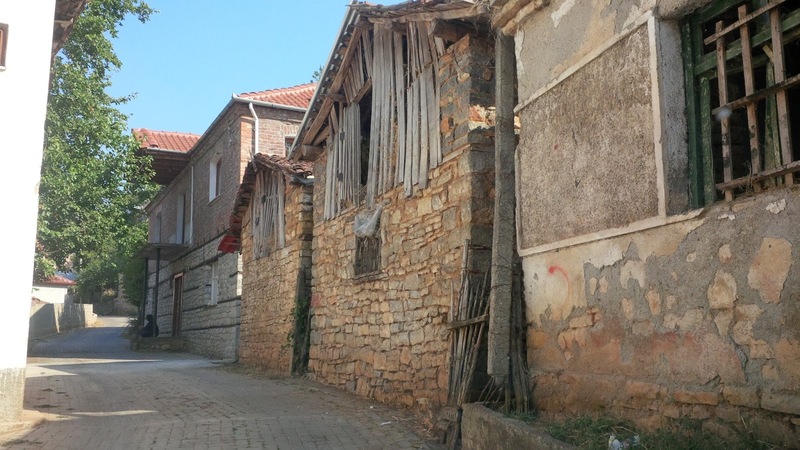 In addition, the project aims to support the efforts of national authorities in the preparation of a nomination file to extend the World Heritage property “Natural and Cultural Heritage of the Ohrid Region” to the Albanian side.